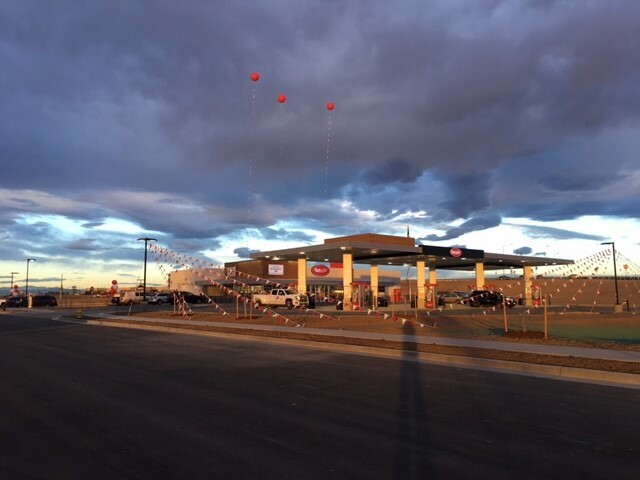 Brighton, CO – Kum & Go opens the doors Thursday, March 8, at 6 a.m. to its newest store in Brighton, CO, at 5112 East Bromley Lane. The nearly-6,000 square foot store will focus on fresh food and features a variety of unique offerings. To help encourage customers to try those offerings, the first 200 customers will receive a coupon for a free breakfast sandwich or donut! The store will be open 24 hours a day. The phone number to the store is 303-654-3483. The phone number to the food area is 303-654-7997. This store marks the third Kum & Go location in Brighton. Kum & Go operates 61 stores in the state of Colorado. Future locations of this food-focused layout are planned in Arkansas, Colorado, Iowa, Missouri, Nebraska and Oklahoma.